Mike Dubnoff has been a San Francisco Bay Area wedding photographer for over 22 years. His work has been published in newspapers, brochures and national magazines. With over 1,400 weddings to his credit, Mike has the experience to make your wedding day go as smoothly as possible. His easy-going style will help you and your guests feel comfortable in front of the camera. In short, we provide you with more than just exceptional photographs, we act as your personal wedding consultants. Mike was recently named one of the top 10 San Francisco Wedding Photographers for 2015. We had one of our wedding photos make the international showcase in 2016 and we are also featured on the J. Crew website. Our vast experience is also important because it has allowed us to photograph weddings at many San Francisco Bay Area Venues. Chances are, we have shot a wedding at yours! 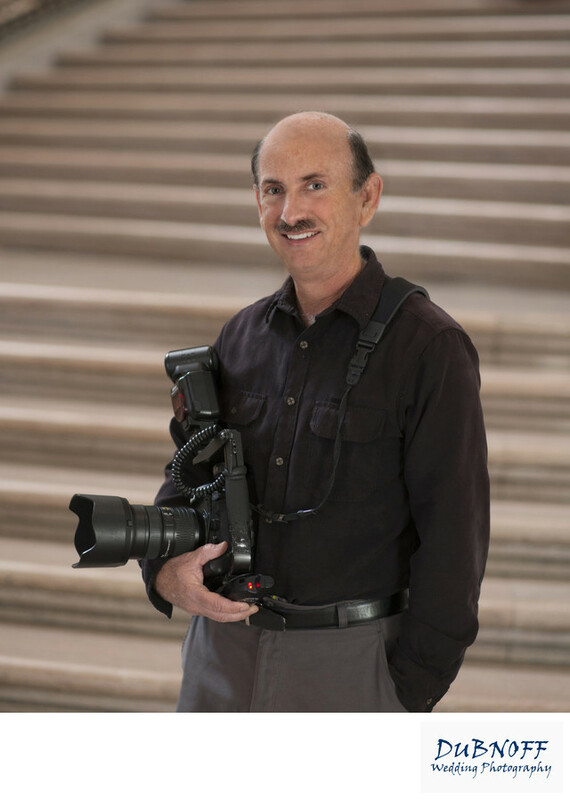 Mike also became one of the few Approved "Featured Wedding Vendors" at San Francisco City Hall and can be found there shooting weddings at least 2 times per week. To make your special day even easier, Mike is assisted at weddings by one of his Associate Photographers. We use the same photographers (Toni Bailey, Tiana Hunter (not pictured) and Kevallyn Marie) to shoot with us year after year. 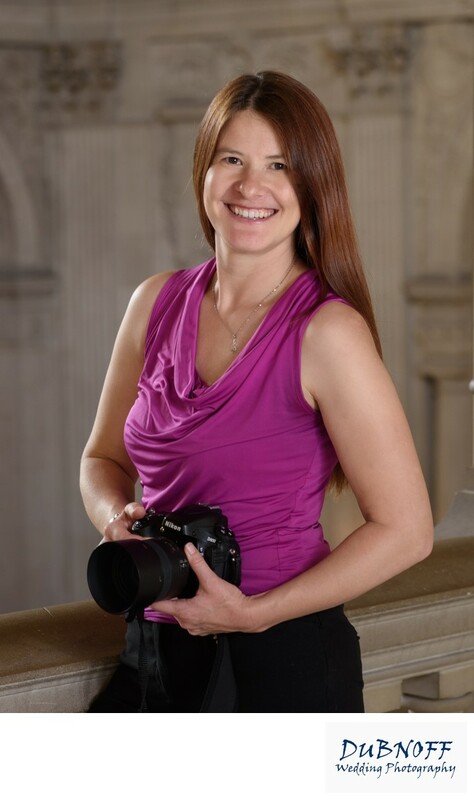 Toni, Tiana and Kevallyn have years of experience shooting weddings on their own and with Dubnoff Photography. We never use outside contractors so you can be assured that our photography team will be talented, courteous, and fun! All of our associate wedding photographers are also available to shoot weddings on their own throughout the San Francisco and Greater Bay Area. If you are interested in booking any of them, please let us know. Our main goal is to make sure you have the wedding pictures of your dreams. We have recently added the very talented Tiana Hunter as one of our associate wedding photographers. 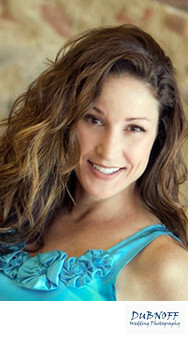 Tiana has over 10 years of modeling experience which helps her with posting brides beautifully. Book us for your San Francisco Area wedding and see the difference it makes when you have a dedicated group of associate wedding photographers working with you. Photos and other information will be posted soon of Tiana. All marriages are covered using a combination of photojournalism, documentary, and traditional wedding photography styles. During the pre-wedding consultation we ask the couple to give us their vision of how they want their wedding photographed. We feel that it's ultimately up to the customer to determine how they want their final wedding pictures to look. Many of our brides and grooms leave this up to us, but we pride ourselves on being flexible and accommodating. We don't project our vision of your final photos on to you without involving you in the process. We want to know as much as possible about your style preferences to be sure that you receive exactly what you want. We have been doing this for a long time and would love to be your wedding photographers. Whether your wedding is in San Francisco or anywhere in Northern California, we are ready to help! As mentioned in many places throughout this website, we specialize in San Francisco city hall wedding photography. Our style in photographing brides and grooms at this magnificent venue is to focus on the beautiful Beau Arts Architecture throughout the building. We frequently will show up with 2 wedding photographers which allows us to focus on getting plenty of close ups as well as the wide angle shots that show off the structure. Please check out our City Hall Wedding pages to learn more about our friendly service and positive approach. Mike and his team are dedicated to capturing the romance in your relationship. We do everything we can to record all of the magical moments of your special day. Your final images will display all of the laughter, tears, beauty and love at your wedding. We also want your day to be fun so we keep it light-hearted and stress free. Wedding photography should not seem like a job for the couple or the photographer. We want the time you spend taking pictures to be part of the fun of your special day! We proudly shoot with Nikon equipment and use some of the sharpest lenses ever made We prefer fast Nikkor prime lenses including the 20 mm 1.8, 35 mm 1.4, 50 mm 1.4, 85 mm 1.4 and the legendary 180 mm 2.8. We also use some of Nikon's best zoom lenses to make sure we capture every important moment and occasion. These zooms include the 24-70 2.8 and the 16-35 4.0. We also occasionally use our 80-200 2.8 zoom lens for certain nuptial celebrations. Large umbrellas are used when possible to create soft light, but we also are skilled in the use of natural light. Your wedding reception will be lit with unobtrusive room lights to create dazzling highlights during the first dance and other important events. Our Camera bodies include a Nikon D4s, D750, D800e and a D7200. We come to every wedding with a full array of backup equipment, including extra Nikon and Sunpak flashes, camera bodies, etc. When we photograph marriages at San Francisco City Hall, we bring portable professional lighting that we frequently bounce off of the walls to create amazing and dazzling light. Our long tenure as a San Francisco Bay Area wedding photographer has enabled us work at the majority of the major wedding venues in the region. This is an important factor to consider when choosing your photographer. Have they ever shot a wedding at your venue? Chances are, we have! We are also one of the most recommended San Francisco City Hall photographers with close to 400 events photographed there. Click San Francisco Bay Area venues to see many of the locations where we have photographed wedding celebrations. We have been to most of the major San Francisco reception sites and many of the ceremony sites. If you are having your marriage at one of San Francisco's old Catholic Churches, ask us, because we have probably been there too! St. Mary's, St. Ignatius, Saints Peter and Paul, St. Agnes, St. Brigid, and St. Brendan's to name a few. I even had my first Communion at St. Agnes! Above all, we provide our clients with the utmost in courteous and friendly service. We feel that one of the most important things on your wedding day is to enjoy it and like the people around you. So for that reason, we strive to make you feel comfortable and relaxed. This also will result in both of you taking better pictures! This cannot be overstated, we find that one of the biggest issues are clients have with other wedding photographers is how they behaved themselves at one of their relatives or friend's weddings. They let us know that a courteous, but helpful wedding photographer is very critical to them! "Mike and Toni were great to work with and made us feel very comfortable. They definitely know great spots to shoot in city hall and knew how to avoid crowds so our pictures look even better. We were not used to some of the poses they suggested, so some of the pictures look a little odd to us, but we absolutely have a bunch of pictures that we love. And even though it was the day before Christmas, Mike and Toni were generous enough to work a little overtime to make sure we got all the shots we wanted. They are true professionals, and we were extremely glad we used them rather than rely on pictures from our family." "Mike and Toni are fantastic! They are so talented, professional, and easy to work with. Mike was very responsive through the whole planning process. I felt confident that I would get beautiful photographs, and I definitely did. You can tell they have been shooting weddings for years: they know exactly what shots to take and are really good with people. I was slightly nervous about getting my large family to cooperate for pictures after the ceremony, but with Mike and Toni's help, everything went quickly and smoothly! They were a pleasure to work with and I would recommend them to anyone!" "Mike is an excellent wedding photographer who really enhanced our pre wedding planning, post wedding photo viewing, and of course, our big day. He is creative, efficient, and helpful. He's been in the business long enough to know all the "secrets" that can really help your day go smoothly as well as contribute to the beautiful pictures he takes. Mike and his assistant, Toni, were a pleasure to work with. We love our photos!! If you're looking for Bay Area wedding photography- Mike Dubnoff is your guy!! Our photos were beautiful and we were so happy that Mike was apart of our wedding process (and it really is a process, not just a single day, so you want a great team)!!!" Dubnoff Wedding Photography has been photographing weddings in the San Francisco Area for over 25 years. We have creatively photographed over 1,400 weddings overall with 400 at San Francisco City Hall. As a wedding industry leader, Mike Dubnoff constantly strives to provide his clients with the best customer service humanly possible. If you have questions regarding wedding planning or San Francisco Bay Area venues, feel free to contact us. We our proud of the fact that over the years we have assisted many brides and grooms with their wedding planning before they even book with us. We have been told multiple times that our San Francisco City Hall information was very helpful to the couple and made the whole process easier for them. Again, we are happy to do this for you, whether or not you book our photography service. Please feel free to let us know if you have any questions or issues and we will do whatever we can to aid you. We fancy ourselves as pretty effective wedding planners so we would love the opportunity to guide you down the path to the perfect wedding.